If you believe you meet the requirements for Board certification, the ABPLA asks that you complete one of the following applications in either Medical Professional Liability or Legal Professional Liability. Once you have submitted your application along with all supporting documents and after a satisfactory review by the credentials committee you will be invited to sit for the examination. The examination is administered at our Annual Meeting, however if your schedule conflicts other arrangements may be possible at the discretion of the ABPLA's President. Should you have any questions or concerns regarding the application process, please contact the executive director, Reeve McNamara 404.919.4009. You may complete the application fully online, including payment by credit card or check at the end of the application process. You will be asked for an email address at login and you can come back to the application at a later time. If for any reason you have a challenge with your application, please call the executive director who can assist you with the process at 404.919.4009. 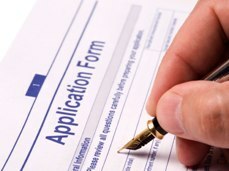 What can you expect once you have completed and mailed the application and fee?